Don’t Worry, Everyone: THE CROW Remake Is Still On | Birth.Movies.Death. The lawsuit has been settled, so we'll all get to see THE CROW remake on opening day. 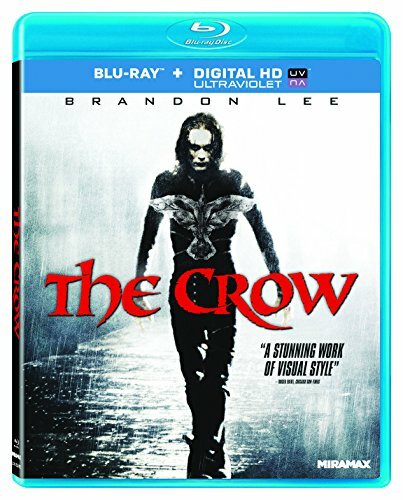 Relativity Media and The Weinstein Company have settled their lawsuit over distribution rights to The Crow, the "reinvention" slated for 2013, with both companies dismissing all charges against one another. The remake was originally supposed to be directed by Stephen Norrington (The League of Extraordinary Gentlemen) and written by Nick Cave (The Proposition), before director Juan Carlos Fresnadillo (28 Weeks Later) and writer Alex Tse (Watchmen) became attached. Now nobody is attached, but hey, at least the lawsuit's been cleared up. I don't really care one way or the other about this remake, much as I liked the original. The hilariously unsuitable Bradley Cooper is no longer attached to star, and that was the only somewhat interesting, in a mind-boggling sort of way, piece of news about the whole business. I just can't get all het up about this movie being made. You've gotta admit: this is just hilarious now. This franchise fuckery will not be tolerated by the GODS OF EGYPT director.